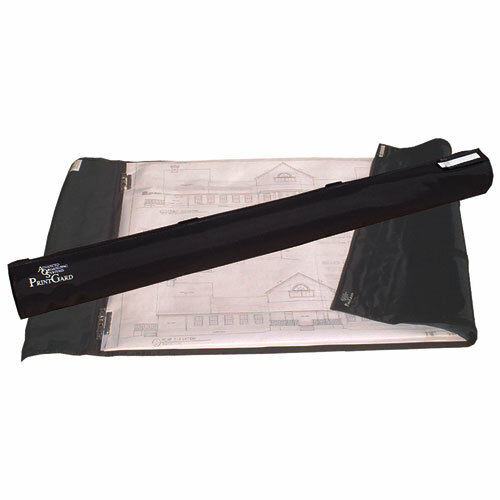 Sturdy black nylon fabric fastens automatically when rolled and becomes an Integral Part of the Rolled Drawing. Protects drawings from sunlight and provides moisture resistant barrier. Perfect for the Architect, Engineer, Artist, Surveyor, Draftsman, Contractor or anyone handling drawings. Spring clips accommodate a single sheet up to approximately 50 sheets for easy viewing and handling.